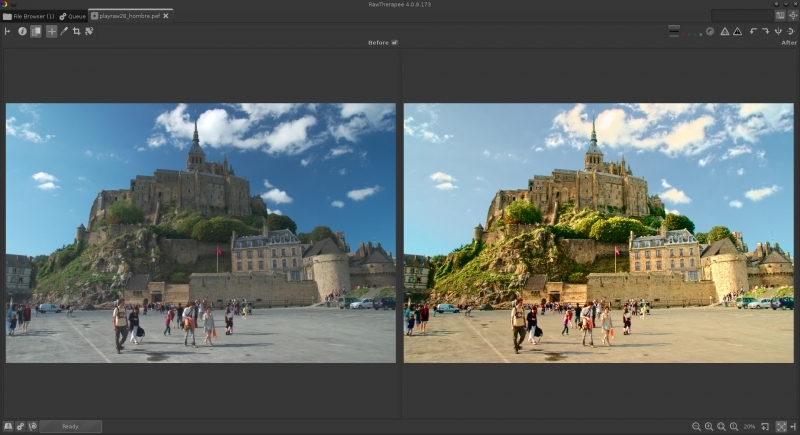 RawTherapee is a free RAW converter and digital photo processing software. 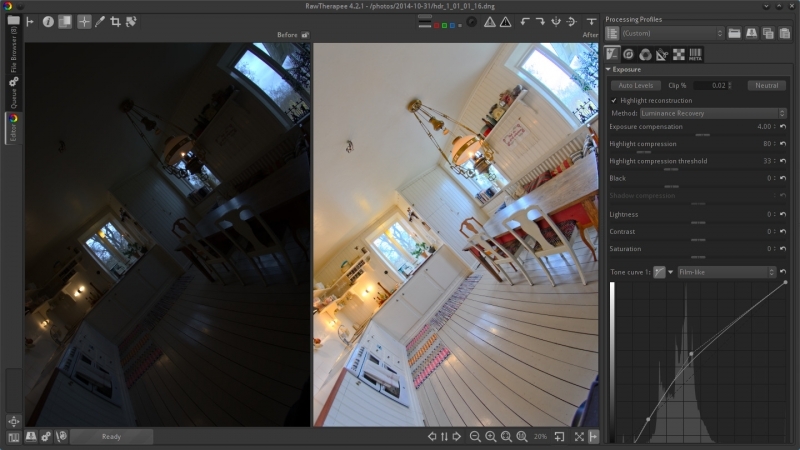 A Before|After view of a fisheye high dynamic range raw DNG image produced using HDRMerge is processed to restore the warm, natural light of this vintage style kitchen. Detail windows let you peek at a higher magnification at areas of interest. 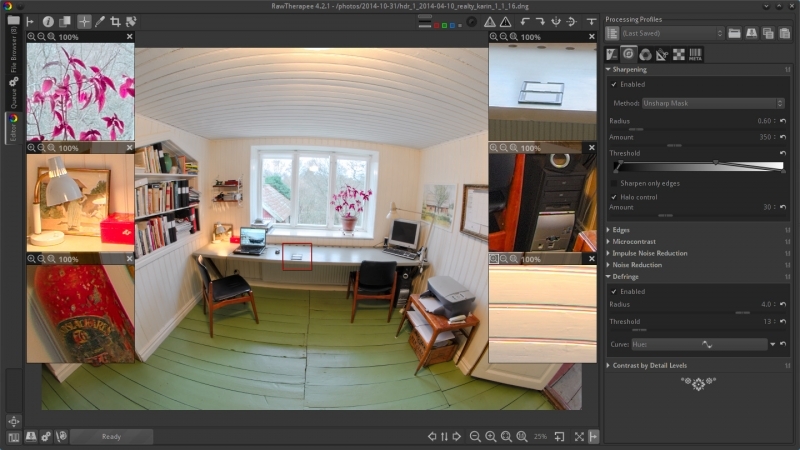 As this is a HDR DNG image, even the darkest areas show no noise. Photo of Mont Saint-Michel developed with a vintage look, uneven vignetting from sky neutralized, shadows lifted using the Tone Mapping tool, golden color cast introduced using Lab curves, and some colors were made to glow using Luminance According to the Chromaticity curves.